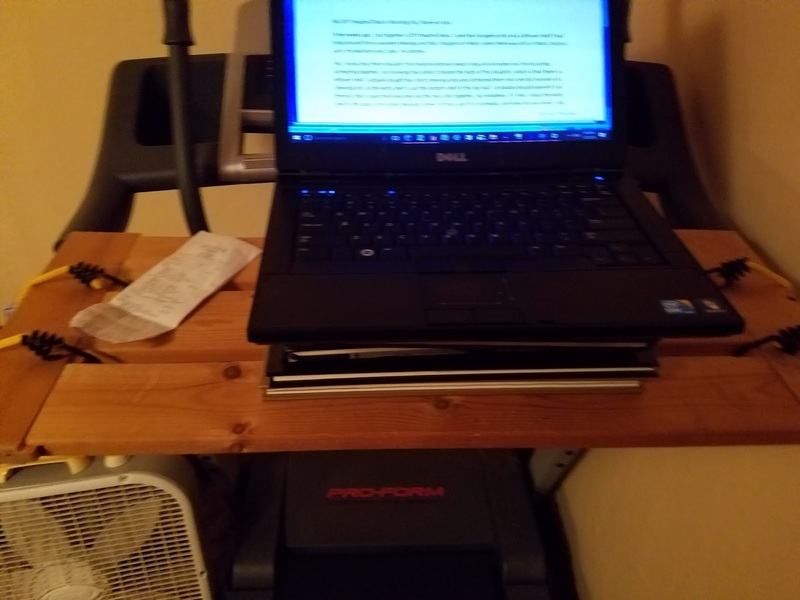 Several weeks ago, I put together a DIY treadmill desk. 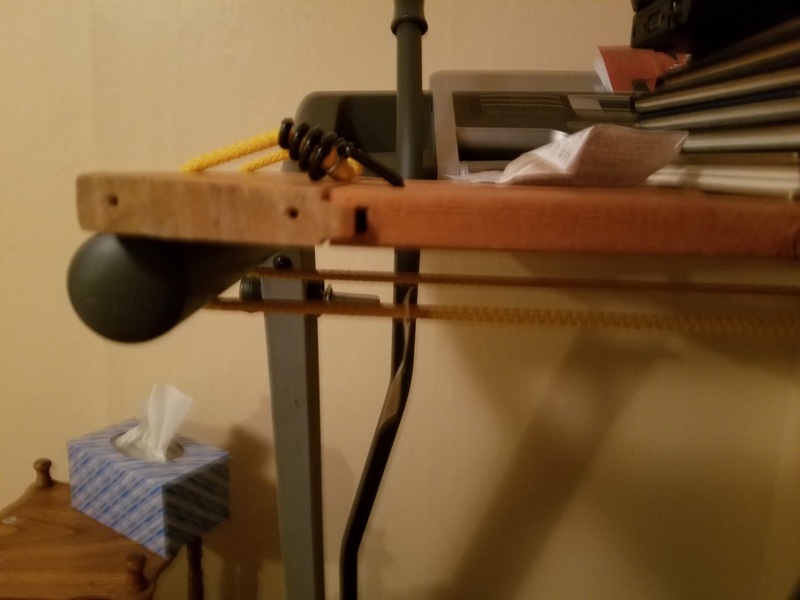 I used two bungee cords and a leftover shelf I had lying around from a wooden shelving unit that I bought at K-Mart, when there was still a K-Mart, and put up in my bedroom and, later, my kitchen. Yes, I know that there shouldn’t normally be leftover pieces lying around when you finish putting something together, but knowing that doesn’t change the facts of this situation, which is that there’s a leftover shelf. I actually bought two short shelving units and combined them into one tall monster of a shelving unit, so the extra shelf is just the bottom shelf of the top half. I probably should have left it on there so that I could more securely nail the two units together, but whatever, it’s fine. 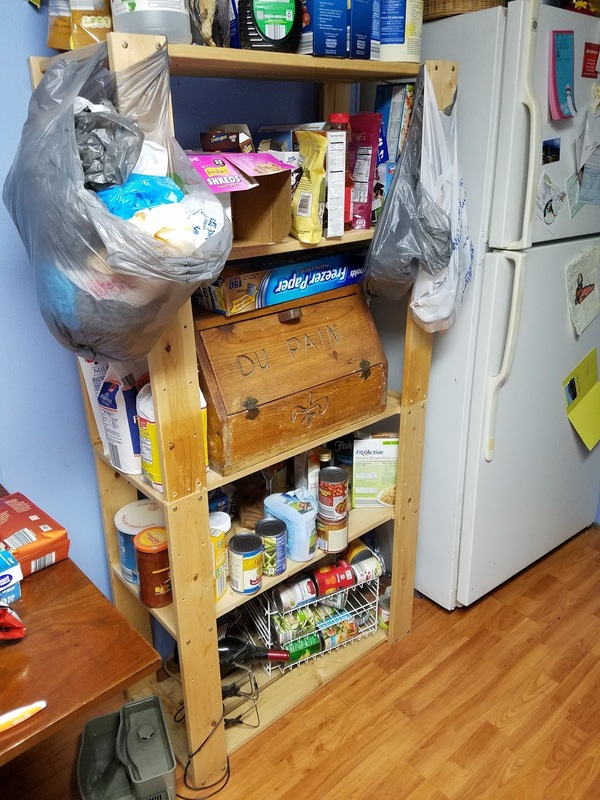 I stuck the extra shelf in the back of my closet because I knew I’d find a use for it someday, and what do you know, I did. The structure of the shelf is perfect because I didn’t have to screw any giant hooks or eyes into it in order to have somewhere to attach the bungee cords, although I could have because I’m pretty sure I have some of those lying around, too, from when I was going to put a clothesline up in the garage but then I never did. Because the shelf isn’t really high enough to allow me to type or write longhand comfortably, I needed something to prop up my laptop and also to write on. 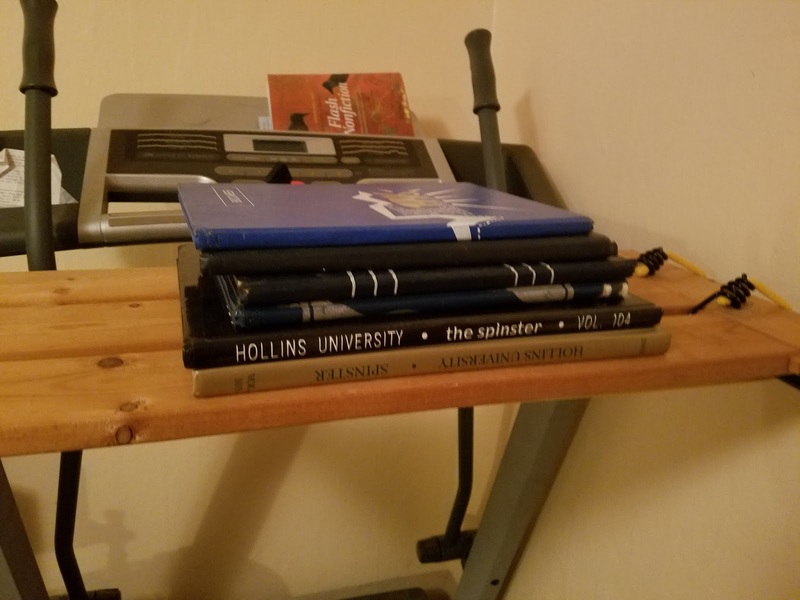 After all these years, I’m proud to say that buying those middle school yearbooks has paid off. Now I can kill two birds with one stone by walking on the treadmill while I work on stuff. 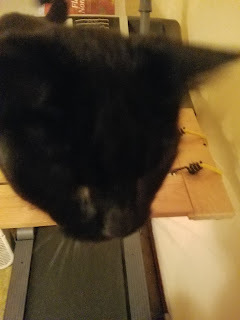 I have to admit that I don’t actually get that much work done at the treadmill desk, but it is useful for petting cats while I work out. I do get distracted and fall off sometimes. That is such a cool idea! I would think the speed would have to be pretty low though so you don't get distracted and fall haha That is cute your kitty is loving it too! LOL I do get distracted and fall! I have to keep the speed at 1 mph max! Your article made me very impressed. I enjoyed it, I would expect at your website, or more articles. I would like more information about this, because it is very nice.